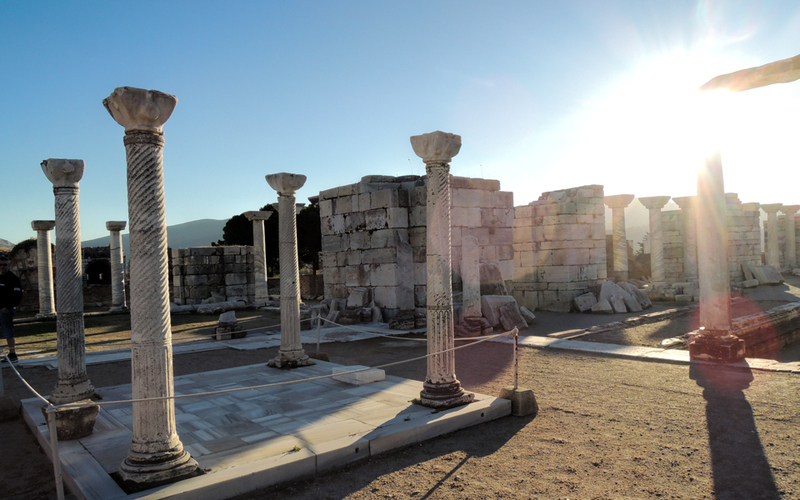 St. John the Apostle lived and wrote “John”, “Revelation”, and part of the New Testament in the Ephesus area. In the 6th century, the Byzantine Emperor Justinian (of Aya Sofya fame) built this church over St. John’s grave. In the 14th century, an earthquake crumbled the building. The stone was slowly pilfered away for other buildings, leaving only some structures and piles of rubble, it stayed this for 500 years until restoration began in 1921. From here there are good views down over Isa Bey Mosque and the surrounding farmland.